A Paint Horse injured in the tornadoes that tore through Central and Western Massachusetts last month will be released Friday after more than a month of intensive care at the Cummings School of Veterinary Medicine’s Hospital for Large Animals. Cajun, the nine-year-old gelding owned by Joann and Joel Kass and Steven Bush of Brimfield, MA, was one of four horses affected by the tornado, which leveled the family’s home in Brimfield, MA. Another horse died, and two others were treated for cuts and abrasions. Cajun was impaled by a finger-sized piece of wood that penetrated his right rear coffin joint and tendon sheath. Since then, he has undergone three surgeries to remove fragments from the foreign body. Because of the location and nature of the injury—in a joint located inside the hoof—the wound is difficult to visualize through even the most sophisticated means and is susceptible to infection. What’s more, Tufts’ Hospital for Large Animals has applied donations of nearly $6,000 to Cajun’s care and has committed to covering the balance of the almost $20,000 bill. 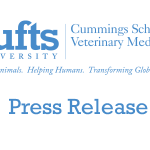 As a result, the Kass family, whose house and barn were destroyed in the tornadoes, will not receive a bill for his care at Tufts, led by Clinical Assistant Professor Thomas Jenei, DVM, DACVS, as well as faculty surgeons, residents, interns, veterinary technicians, and fourth-year veterinary students at the Cummings School. Cajun has made spectacular progress through multiple surgeries and a severe risk of infection, and it has truly been a team effort to manage this difficult injury, said Dr. Jenei. The dedication of Cajun’s surgeons to get every last piece of shrapnel out of his joint was matched only by the excellent care he received from our students and staff. Jenei gave particular credit to Clinical Assistant Professor Katherine Chope, VMD, whose ultrasound expertise allowed surgeons at the hospital to visualize remaining fragments within the coffin joint. Although Cajun’s wounds have healed well enough for him to be discharged, his owners will need to be vigilant about infection, Dr. Jenei added. We are enormously thankful to the Cummings School and the Hospital for Large Animals—as well as the generosity of the community—for their generosity in supporting and healing Cajun, said owner Joann Kass. The donations our family has received since the tornadoes can now be applied to his ongoing medical needs and rehabilitation—and we are forever grateful. Upon discharge, Cajun will be transported to Ross Haven Farm, an equine rehabilitation facility in Sturbridge, MA. 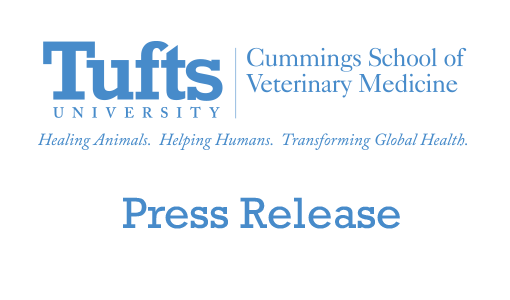 Although independent of Tufts, the farm is run by one of Cajun’s surgeons, Associate Professor Dr. Carl Kirker-Head, and his wife, Romona, another Cummings School employee. On the night of the June 1st tornadoes, Spencer veterinarian Dr. Paula Orcutt and Joann Kass’ sister, Karen Walker of New Braintree, MA, worked with local firefighters to climb over debris and gain access to the stables after Wednesday’s deadly tornadoes. The following day, the pair, together with Kass and Bush and more than a dozen volunteers were able to clear the driveway of fallen trees to enable the Animal Rescue League of Boston to extract Cajun and transport him to Tufts in Grafton. Cajun was rushed into surgery shortly after admission to remove fragments from the joint. As the wound subsequently healed, remaining fragments became apparent through ultrasound and were removed promptly through revision surgeries. Non tax-deductable donations may be made to Joann Kass and Steven Bush, care of Karen Walker, 351 Bernard Whitney Road, New Braintree, MA 01531 or directly to Cajun’s care by calling the Hospital for Large Animals front desk at (508) 839-7926. Tax deductible donations may also be made to the Hospital for Large Animals Fund by calling (508) 839-7905.